Infosys Off Campus Drive For Freshers On 7th and 8th March 2014 . Infosys Recruitment 2014 For BE, B.Tech Freshers. 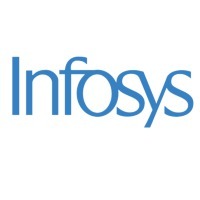 Infosys Off Campus Jobs for Freshers in Chennai, Coimbatore & Madurai. Infosys Registration Link To Participate in Off Campus Drive. The Interested and Eligible students are directed to register through online before 21.02.2014, 3.00 PM, Sharp. The registered students will receive a Invitation mail from M/s Infosys on 24.02.2014 and the students are directed to register in M/s Infosys and generate Hall Ticket to appear in Online Test. The students having hall ticket are alone permitted to take M/s Infosys Test. A help desk is provided on 06.03.2014 for the students who are not able to generate their Hall Ticket. The students has already attended in previous drives are not eligible to attend now. The Principal / Placement Officer are requested to ensure that only the interested and eligible students are alone to register the same, failing which they cannot able to participate in the drive. Is infosys only for upto 2012 passed out? @Arun: Yes, 2014, 2013 and 2012 batch pass outs can attend Infosys off campus Drive. i cleard the aptitude test i tuk the interview, when n how will the results come? ?